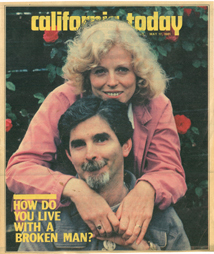 My mother and father were featured in a magazine article back in 1981. I found the article in an online Referee Magazine, and they have since taken the article down. I felt it would be appropriate to put it back online. I scanned the original article and have posted it here. Please click on the photo if you wish to read it. It is 15 pages of pdf file. I'm a lucky kid to have great parents. Lawrence McLaughlin. Larry is a world class sculptor, and a very cool uncle. Chris Hiatt Band. I fill in with this great guitarist check him out. Rose Ann Feigenbaum. My mom is an artist, mostly works with mosaics. Southwestern Images. I built Bob's site. Great photographs of the southwestern United States. Ebay. I have been selling on ebay for a while now. This link goes to my sale page.